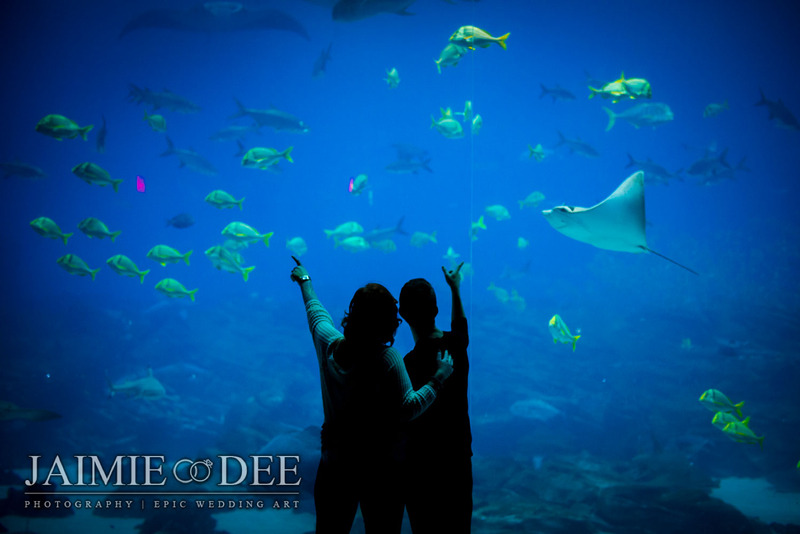 As an Atlanta wedding photography studio, we were SO excited when Erica & Gareth mentioned they would like to do aquarium engagement photos at the Georgia Aquarium! 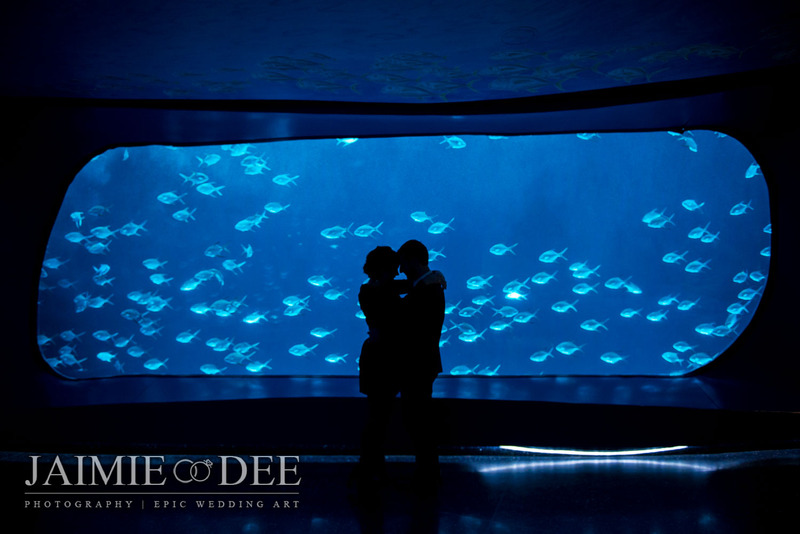 This venue has definitely been on our Atlanta wedding photography wish list of awesome places to shoot in the city! 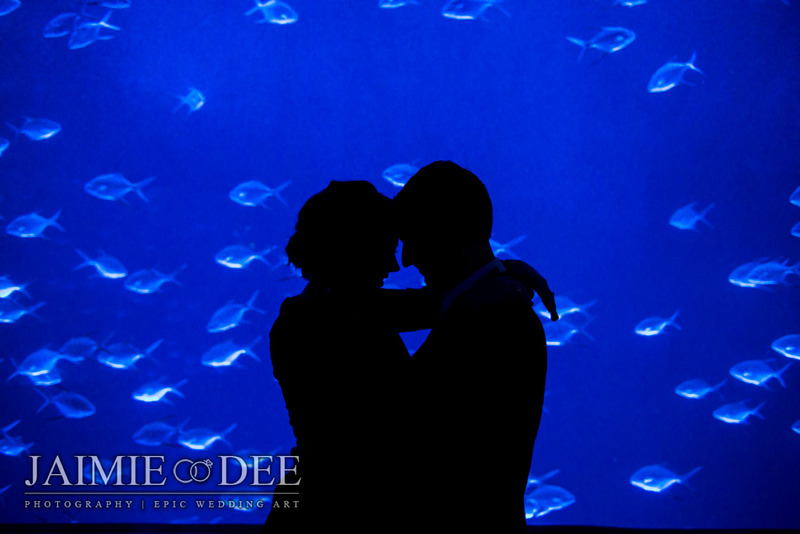 We started shooting as soon as we got there, the first couple of images taken right at the entry way. 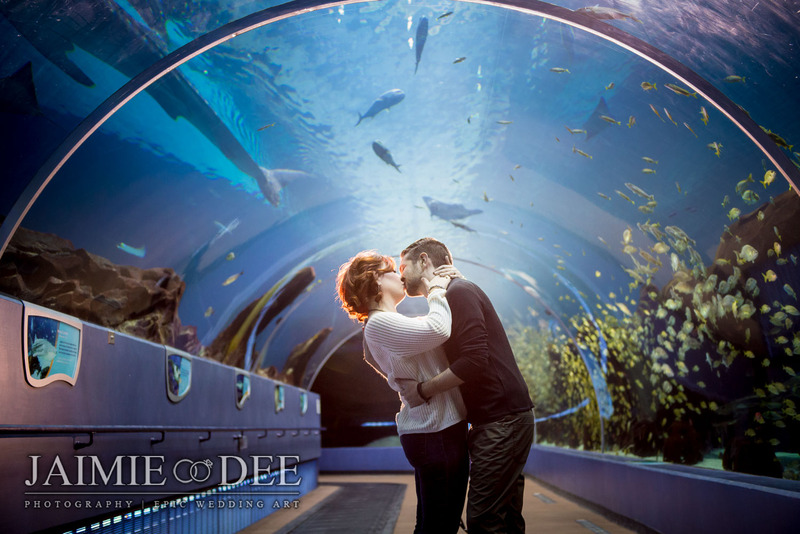 As we progressed throughout the different exhibits, we stopped multiple times to take more aquarium engagement photos along the way. 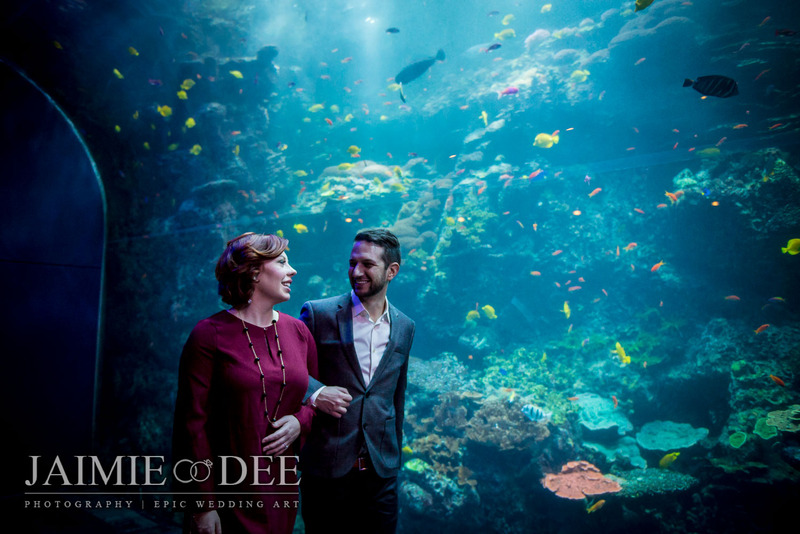 On a weekday evening, just a couple of hours before closing – was the PERFECT time to shoot when there weren’t tons of other patrons trafficking through! 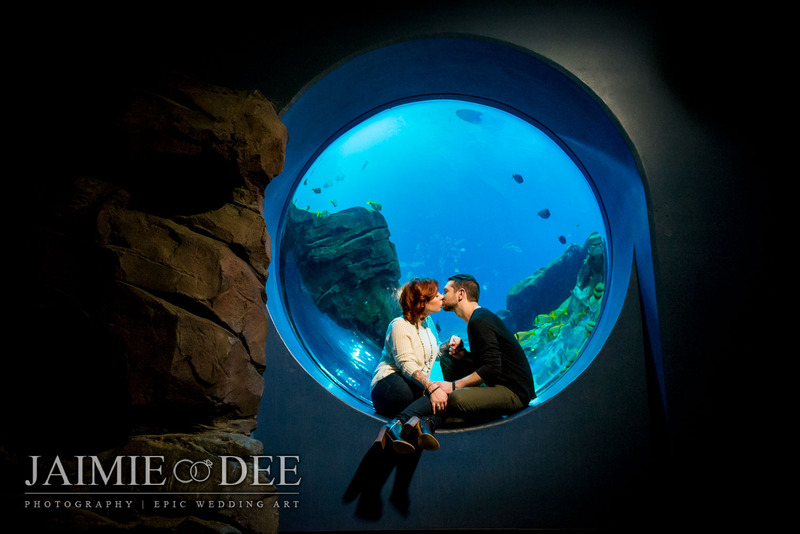 Without further ado, we’d like to showcase some of our favorite highlights from the aquarium engagement session as well as a quick interview with our most artsy couple of 2016, Erica & Gareth! 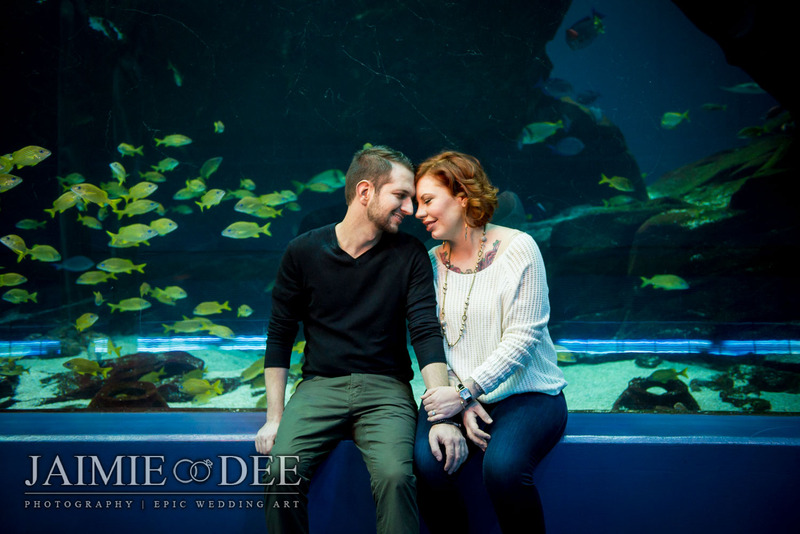 Erica: We met on OKCupid, and my first impression was that he had very kind eyes. Gareth: On our first date, we clicked really quickly. We chatted really easily, and the night seemed to fly by. 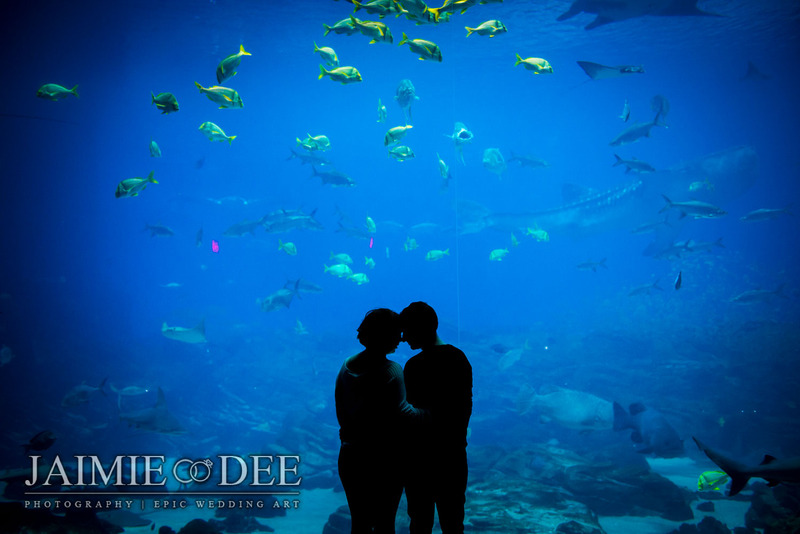 How/ when did you start dating? What attracted you most to each other? 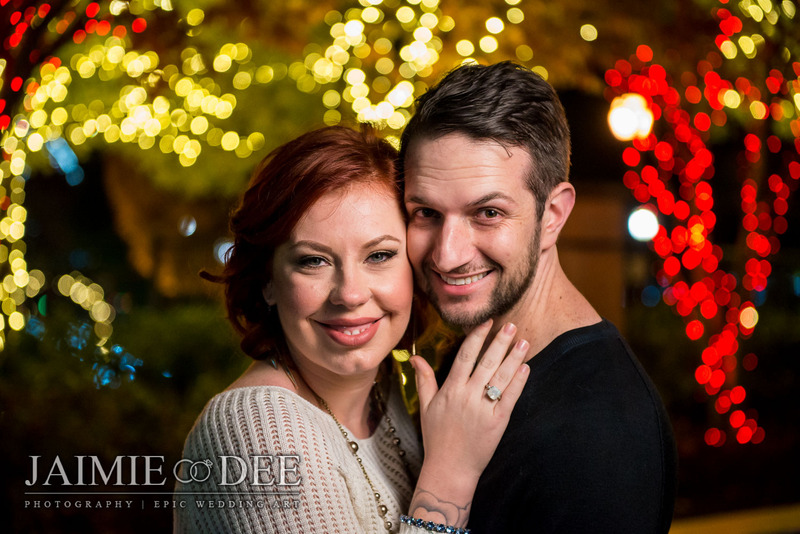 Gareth: Our first date was at Cafe Intermezzo. Also our first kiss 🙂 I was nervous at first, but got really comfortable when we started to realize we had a lot in common. Tell me about your relationship. Were you nervous about one another meeting your family? Who said I love you first? Erica: He accepted me for who I am. I was nervous to meet his much more traditional family. I remember the way he looked at me when he told me he loved me, and it made me feel wonderful. Gareth: I said I love you first. We had been to a scotch tasting event with some of my friends, and I just loved how she was able to keep up with the guys and have a blast with us. I wasn’t nervous about her meeting my family – I knew they’d love her. 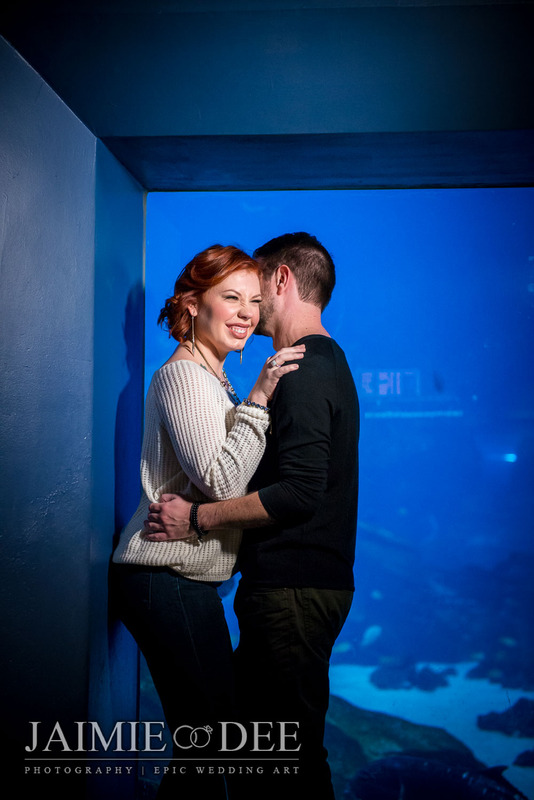 Erica: I feel like we both knew pretty quickly. I would say that it was more than an instantaneous feeling than a creep up on you one. Erica: We were in the hotel room in Germany. I knew that it was going to happen I just didn’t know when. 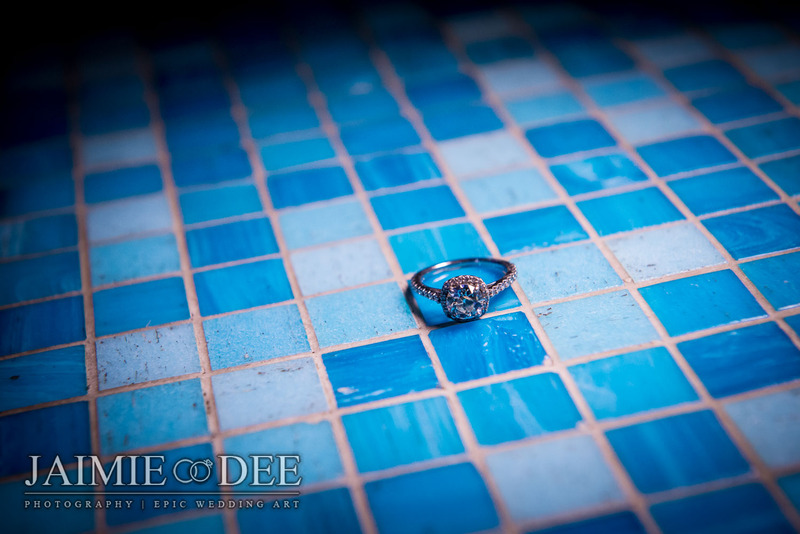 I was definitely surprised in the fact that he had pretended several times before that he was going to propose and tricked me so i thought that it was another one of his tricks. Gareth: I proposed in Germany. 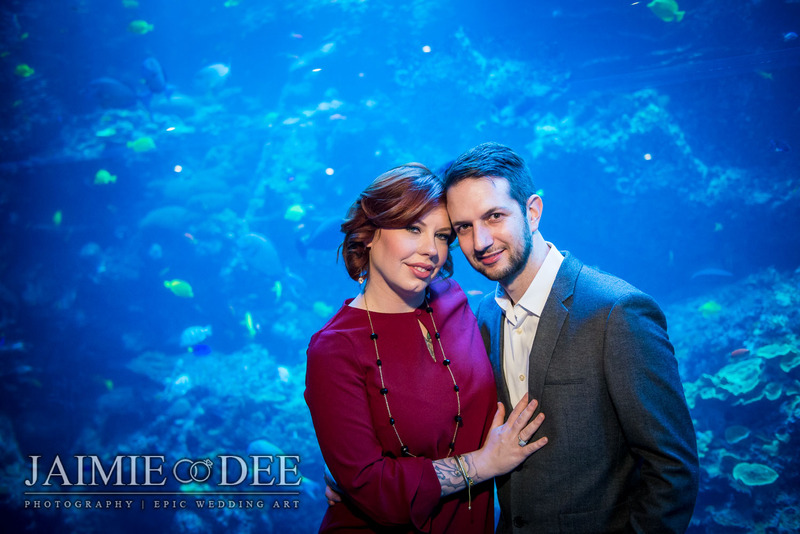 It wasn’t a surprise at all – we had even picked out the ring together a month before. She knew it was going to happen on our trip to Europe, but she still acted surprised and cried when I put the ring on her hand. Erica: The greatest companionship I’ve ever had is with him, and I could not give that up. Gareth: Any time I’m traveling or away from home, when I wake up without her, I feel like part of me is missing. I love starting each day with her, and ending each day at her side. 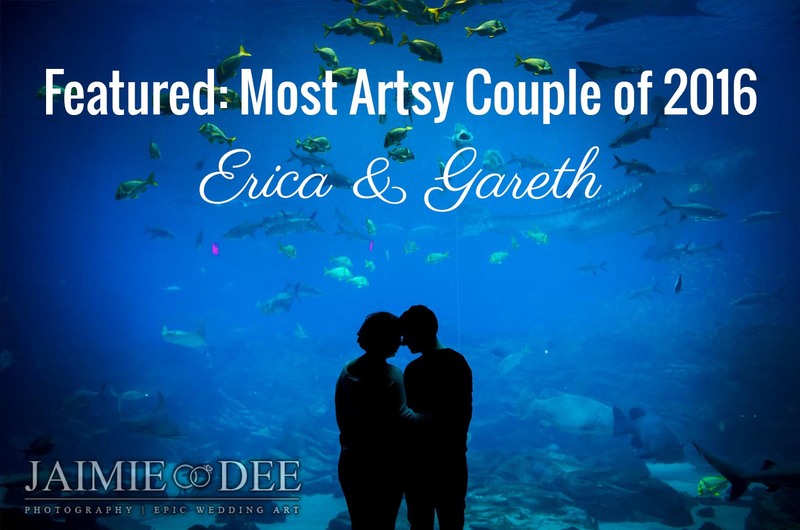 Erica: We have two dachshunds that we’re obsessed with, and a cat that we love very much. Gareth: We totally have the same sense of humor, and we’re constantly lightheartedly teasing each other and play fighting. You’re so interesting! I do not believe I have read through something like this before. So good to discover another person with a few genuine thoughts on this subject. Really.. thank you for starting this up. This web site is something that is needed on the internet, someone with some originality!